Welcome to this week's edition of Frugal Friday! So glad you came to visit! Last week's party was the biggest to date with almost 550 posts linked up! Holy crow, people!! That's a lot of inspiration. My brain is on overload! 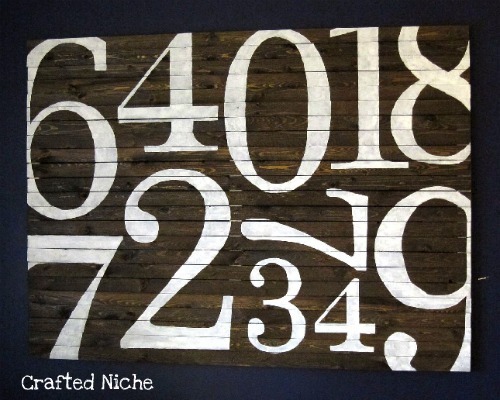 The Fan Favorite from last week was posted (for the second week in a row) by Crafted Niche, a darling PB knock-off sign. Lovin' it!! And...lest anyone get mad that the same blog is featured 2 weeks in a row...let me remind you that the Fan Favorite is voted on by YOU, my dear readers! So make sure and vote for your favorites. First, I thought this wax paper chandelier from The Letter 4 was genius! 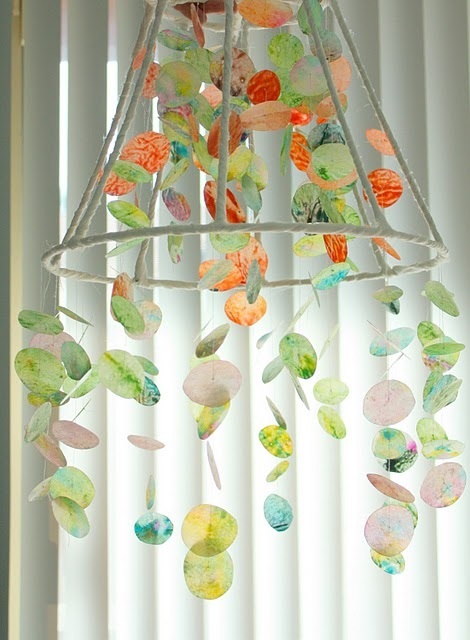 The kiddos and I have melted crayons between wax paper before...but making a chandelier? They remind me of capiz shells, no? Such creativity here...seriously. Next, I loved this fabulous laundry room makeover by Dimples and Tangles. Gray with pops of coral? Simply adorable! 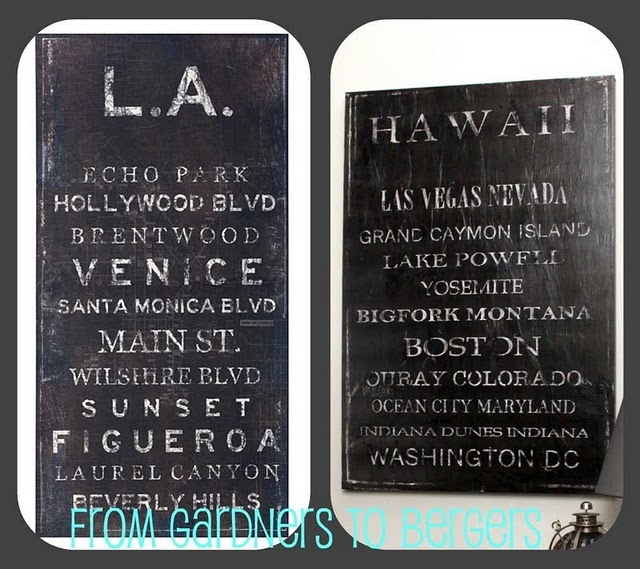 From Gardners to Bergers shared a great Z Gallery knock-off Subway Art tutorial. 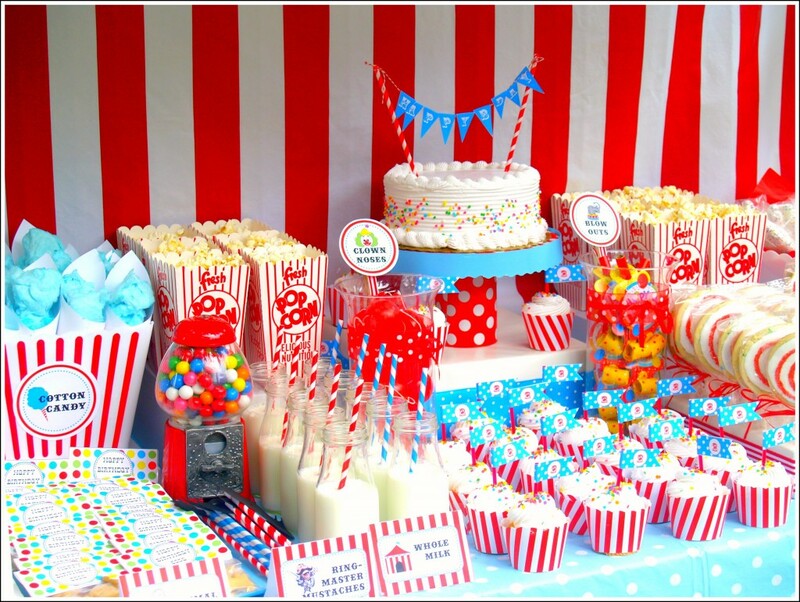 And finally, check out this darling DIY Circus Party from Blog 529. You know I'm a sucker for a cute party!! Thank for hosting! Great choices from last week! Great features! Thanks for hosting Wendy!! yay! Thank you so so so much for hosting and for the feature! you ar awesome!!!! Oh my goodness! I'm thrilled! Thanks so much for featuring our Pottery Barn sign and EVEN BIGGER THANKS to hosting such a great party! Aaaahh! I'm absolutely shocked! Thank you so much for featuring my laundry room. It was such a fun project and I'm humbled at all of the positive response. Thanks for hosting this party each week. I'm a new blogger and have enjoyed linking up! THanks for hosting. That laundry room is gorgeous. Wow I had to scroll down way low, to find a spot to enter my vintage painted suitcases. This Linky is really taken off. I hope you like my little project, it really was one of the easier ones to do. But you gotta love the easy ones with the big impact. Thx for hosting the linky and good luck with visiting them! Thank you so much for taking the time to host this party! Love it here! Wow, that chandelier was really awesome! Voters have good taste :) I'm linked up for this fun party (thanks for hostessing) and I've got your button. Hope you have a good weekend. Thanks for hosting!! Can't wait to check out everyone's links! Fabulous party! Thanks for hosting! Have a great weekend! What a great laundry room! Makes me want to build a room of my own. Thanks for hosting! Hey Wendy! Haven't linked up in what seems like forever (can we say, "life?" 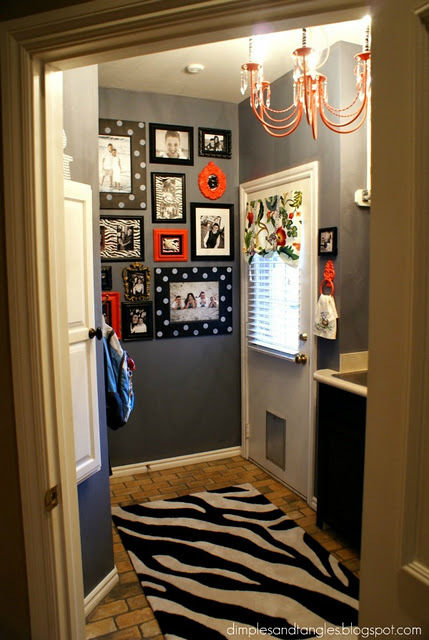 : )), but I just did a funky/frugal hallway reveal that I thought you might enjoy (#419). Thanks so much for hosting, sweet lady! Thank you so much for featuring my subway art! It's such an easy way to get the look so many people like. I'm glad you liked it and I happy to have been able to share it!! Love all of the features! I'm really diggin the coral color right now! Great features - I especially love the PB inspired sign!